The last 17" Snow White from our Private Collection, these dolls will not be made again! An exceptional set carved from solid wood will delight and amaze you. 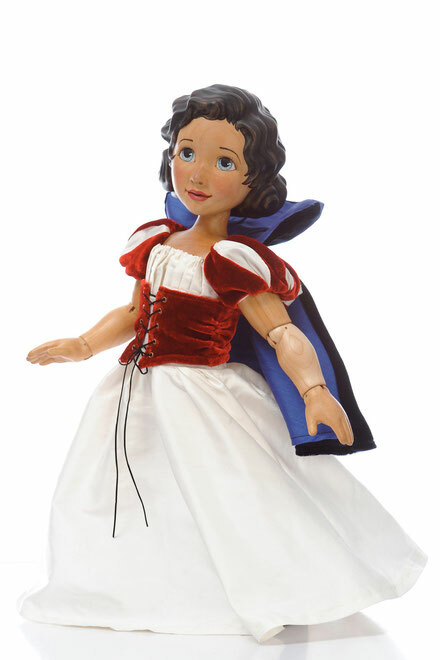 Snow White stands 14″ tall with 13 moveable ball and spring joints that can be positioned in a variety of ways. She is dressed in a lovely white dupionni silk dress with embroidered and beaded hemline. A red silk velvet corset and blue silk velvet cape add the finishing touch. 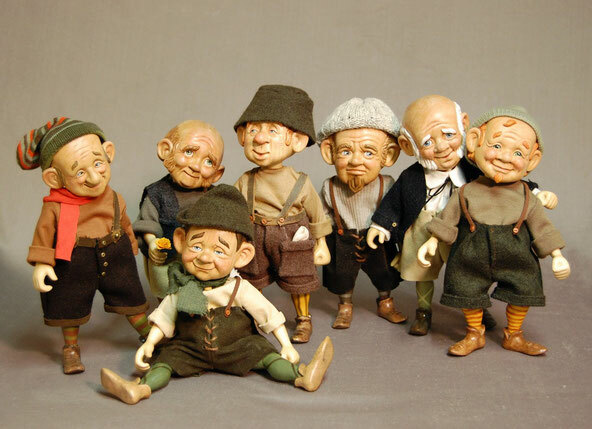 The dwarves stand 7″ tall and are jointed at the head, shoulders and hips for posing. All are dressed in custom made outfits fashioned from organic materials; wools, linens, leather and hemp.